The Garrett GT42 Large Frame Turbochargerss are best suited for large-displacement engines, drag racing vehicles, and other applications that require significant airflow. There are Wastegated or Free-floating units here, plus our exclusive large-frame ball-bearing CHRAs. Garrett’s ball bearing cartridge has proven its worth in the highest level of motorsports where it has been the bearing system of choice in CART FEDEX ChampCar Series, 24 Hours of Le Mans, Pikes Peak International Hill Climb, World Rally Championship, and most recently Drag Racing. These premier racing customers demand no less than the best in durability, reliability, and power on demand. One key contributor to this performance lies in the ball bearing cartridge where it is, by design, surrounded by a thin film of oil. The oil film damps out destructive vibrations that would otherwise compromise turbo durability. A clear demonstration of the inherent superiority of Garrett’s ball bearing design is in the launch of a turbocharged drag race car. The two-step rev limiters used to build boost on the line expose the turbo to the harshest imaginable conditions of pressure spikes and scorching temperatures. Where lesser turbos often fail catastrophically, Garrett ball bearing turbos regularly shrug off these brutal conditions time after time. 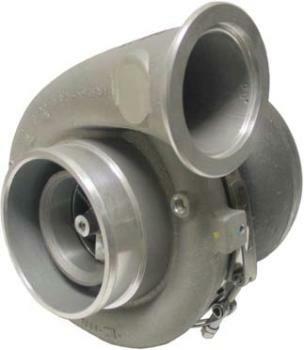 In fact, many drag racers running Garrett ball bearing turbos have not needed to rebuild or replace their turbos for multiple seasons. Can you say that about your turbo? Combined with the aerodynamically advanced Garrett GT wheel design, Garrett GT ball bearing turbos provide improved drivability and power on demand.